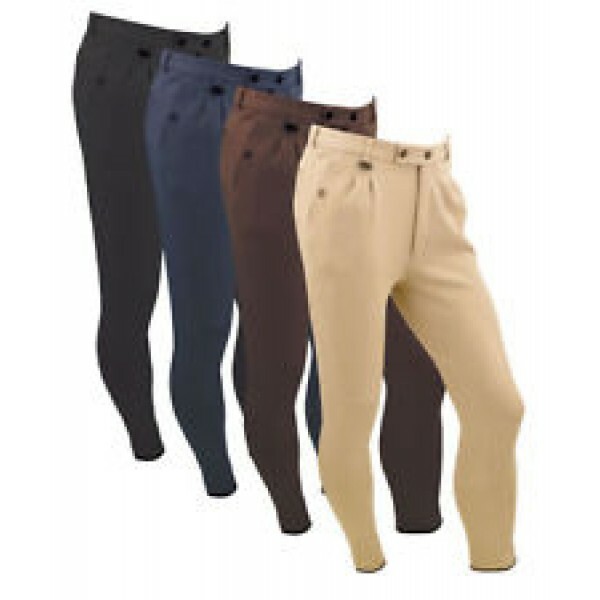 Superb fit and stretch breeches, with slash pockets and Equetech stud fasteners. Contoured self fabric seat with zip pocket to back to keep valuables safe. Made from knitted cotton with 5% spandex for excellent shape retention. Other features include pleats to front, self fabric knee patches, belt loops, Equetech comfort waistband, Equetech stud and zip fasteners and Velcro binding at hem.